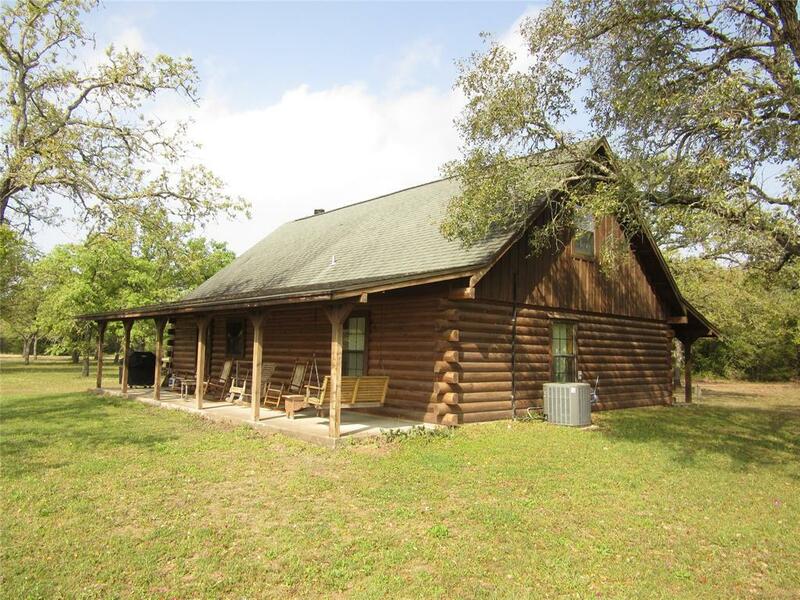 A great hunting/recreational property with log cabin and barndominium. 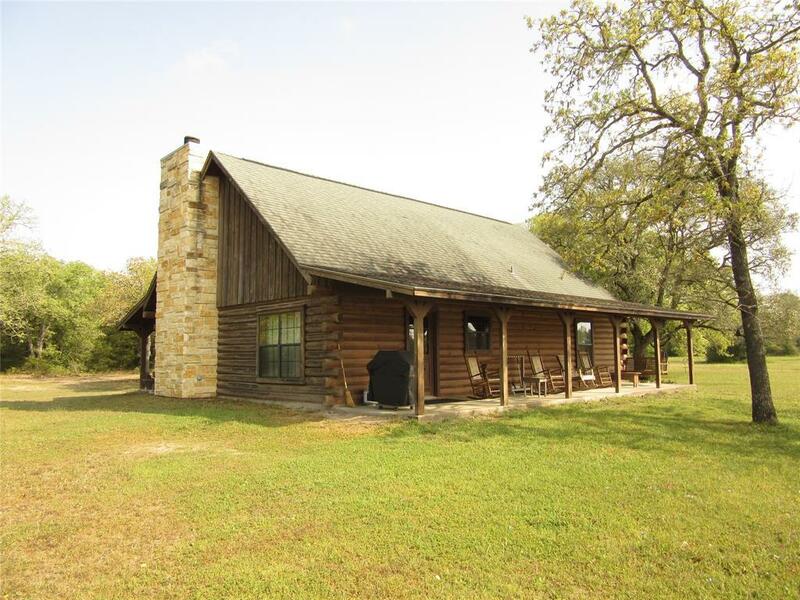 Log cabin has 3 bedrooms with 2 bath and 2520 sq.ft. Barndominium has one bedroom with shower and 3 beds. Has small workshop behind barndo. 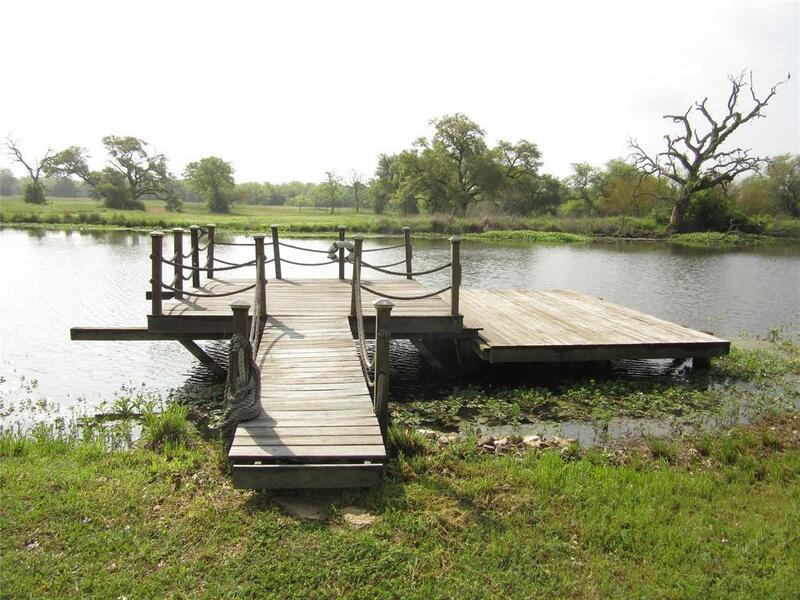 Has two septic systems.Has large pond for fishing and plenty of wildlife for hunting deer and hogs. Pond is stocked. All deer feeders, blinds & one hog trap stay with property except one feeder. All furniture retained by seller. BBQ pits stay.Has densely wooded trees with post oaks & other hardwoods and some cedars. Has many trails to ride ATV. Plenty of road frontage. 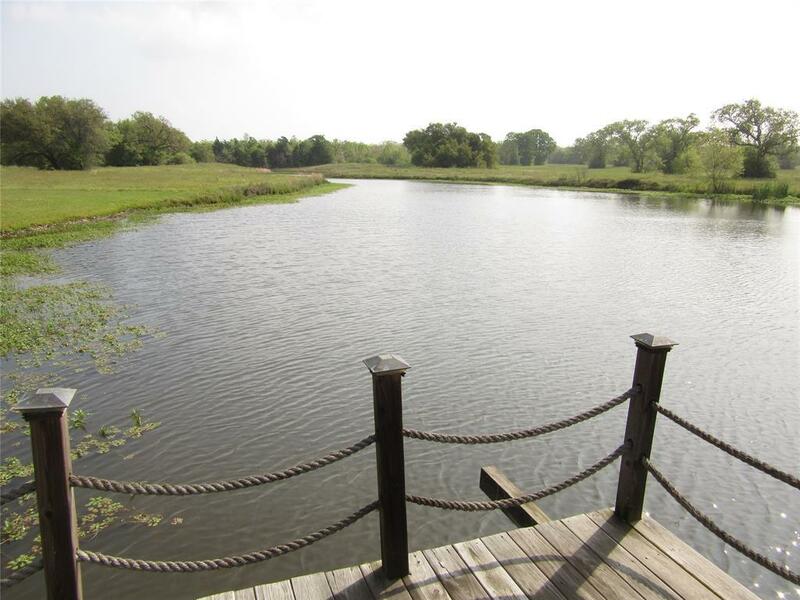 Has some open pasture across the pond for some open hunting areas.Come see this great Log cabin and large pond.